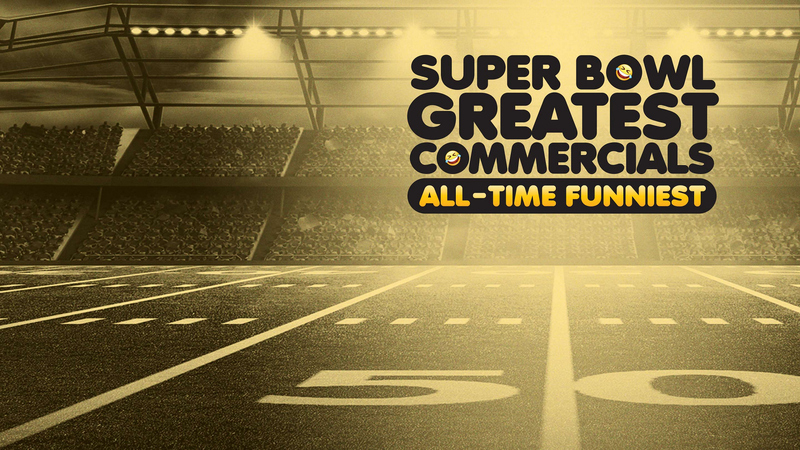 Super Bowl Greatest Commercials 2019, an interactive countdown special where viewers will be able to vote LIVE via specific hashtags for the All-Time Funniest Super Bowl commercial, will be broadcast Tuesday, Jan. 29 at 8/7 on CBS and CBS All Access. Beginning today, viewers can vote for their favorite hilarious Super Bowl commercial using the hashtags on Twitter for each of the ten spots. Viewers can watch the top 10 commercials now at https://www.cbs.com/shows/super-bowl-greatest-commercials/vote/. Two commercials will advance to the live vote during the broadcast, when viewers will decide the outcome by tweeting the finalists’ hashtags and the ultimate winner will be revealed at the end of the show. The special will be hosted by Boomer Esiason, analyst for CBS Sports' NFL pre-game show The NFL Today and Daniela Ruah, star of CBS' NCIS: Los Angeles, and originate from the Mercedes-Benz Stadium in Atlanta, home of Super Bowl LIII. Don't forget you can also watch Super Bowl LIII, including festivities like the halftime show and of course all of this year's commercials, live on Sunday, Feb. 3, 2019 at 6 PM ET / 3 PM PT on CBS and CBS All Access.